[S6] G.E. Cokayne; with Vicary Gibbs, H.A. Doubleday, Geoffrey H. White, Duncan Warrand and Lord Howard de Walden, editors, The Complete Peerage of England, Scotland, Ireland, Great Britain and the United Kingdom, Extant, Extinct or Dormant, new ed., 13 volumes in 14 (1910-1959; reprint in 6 volumes, Gloucester, U.K.: Alan Sutton Publishing, 2000), volume II, page 343. Hereinafter cited as The Complete Peerage. [S21] L. G. Pine, The New Extinct Peerage 1884-1971: Containing Extinct, Abeyant, Dormant and Suspended Peerages With Genealogies and Arms (London, U.K.: Heraldry Today, 1972), page 41. Hereinafter cited as The New Extinct Peerage. [S15] George Edward Cokayne, editor, The Complete Baronetage, 5 volumes (no date (c. 1900); reprint, Gloucester, U.K.: Alan Sutton Publishing, 1983), volume V, page 89. Hereinafter cited as The Complete Baronetage. Her married name became Hope-Vere. From 17 October 1839, her married name became Gooch. From 30 June 1858, her married name became St. Leger. Children of Harriet Hope-Vere and Sir Edward Sherlock Gooch, 6th Bt. Sir Edward Sherlock Gooch, 6th Bt. 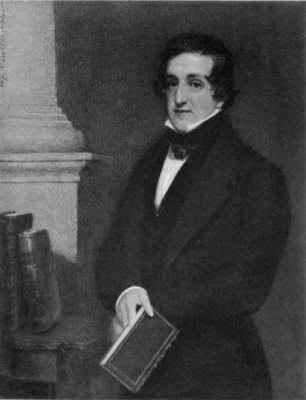 was the son of Sir Thomas Sherlock Gooch, 5th Bt. and Marianne Whittaker.2 He married, firstly, Louisa Anna Maria Prescott, daughter of Sir George Beeston Prescott, 2nd Bt., on 23 January 1828.2 He married, secondly, Harriet Hope-Vere, daughter of James Joseph Hope-Vere and Lady Elizabeth Hay, on 17 October 1839.1 He died on 9 October 1856. [S18] Matthew H.C.G., editor, Dictionary of National Biography on CD-ROM (Oxford, U.K.: Oxford University Press, 1995). Hereinafter cited as Dictionary of National Biography. [S1497] Georgia Chenevix Trench, "re: Trench Family," e-mail message to Darryl Roger Lundy, 16 October 2005. Hereinafter cited as "re: Trench Family."